RENDERING | We can transform the exterior of your property. Overtime the exterior of your house can start to discolour, crack and look dated or unsightly. This is usually a result of years of harsh weather conditions. By having the exterior of your home rendered or re-rendered you can protect your property whilst improving the overall appearance of your home. A fresh new render will give the exterior of your property a modern and fresh new look. We are able to provide an affordable and hassle free rendering service for all types of properties. 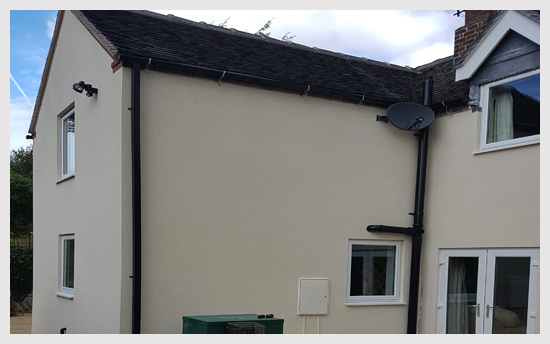 We can provide a wide range of colour options so you can choose the colour render that you feel would best suit your home or taste. If you would like further information on our rendering service then please feel free to contact a member of BW Plasterers & Dryliners today and we will be happy to assist you further. When you choose BW Plasterers & Dryliners you will not be dissapointed. We offer a professional, honest & reliable service along with providing all of our customers with excellent results. For further information on any of the services that we have to offer please feel free to contact us and we will be happy to assist you further. We welcome all size projects & complete all projects to a very high standard. Contact us today for a free no-obligation quote on your plastering or home improvement project.